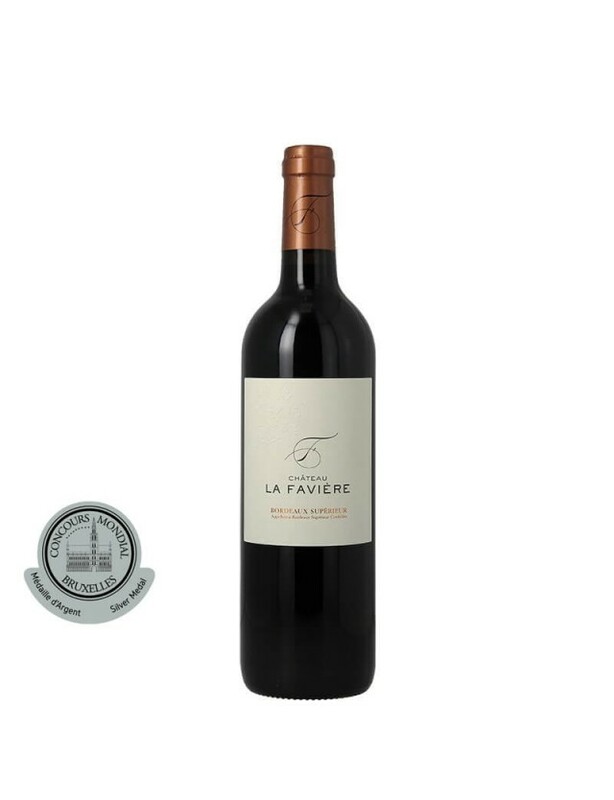 Falling in love with the setting, the great wine lovers, Stanislav and Natalia Zingerenko bought Château la Favière in 2011, breathing a breath of fresh air into it. Extending over 67 hectares of vines, the property has been improved by the renovation of all its facilities and the development of a barrel storage cellar. Producing exceptional wines comes naturally to these music lovers. Helped by their oenologist, and surrounded by a young, dynamic team, the manufacturing process follows the same methods and requirements as a Grand Cru. Using "vinification intégrale", a technique rarely used for a Bordeaux Supérieur, the grapes are vinified and aged in oak barrels. This early integration in wood results in more rounded wines, developing an aromatic complexity that will entice lovers of fine wines and foods. A piece of music resounds in each wine. Come and appreciate the art of tasting, during a visit, and enjoy one of the concerts organised each year in partnership with larger regional festivals. The domaine's premier wine. A noble and elegant Bordeaux, the very expression of the typicity of the terroir and the great rigour applied to its production at the domaine. A vintage with great complexity and remarkable finesse with potential to be laid down for ten years. Intégrale is the flagship cuvée of the Château La Favière. Made 100% from integral vinification in barrels, it produces a wine with extraordinary depth and power, the balance of which is close to perfection. The quest for absolute intensity.